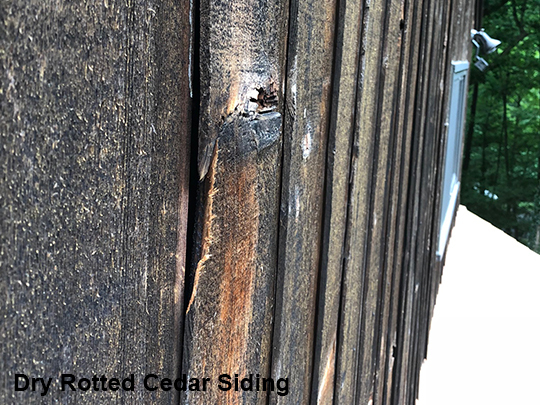 If not properly installed and cared for cedar wood siding is susceptible to significant damages like rot, mold, and warping, as well as insects. Proper installation of cedar siding is key to achieving the best exterior for your home so this natural, durable product can shine. 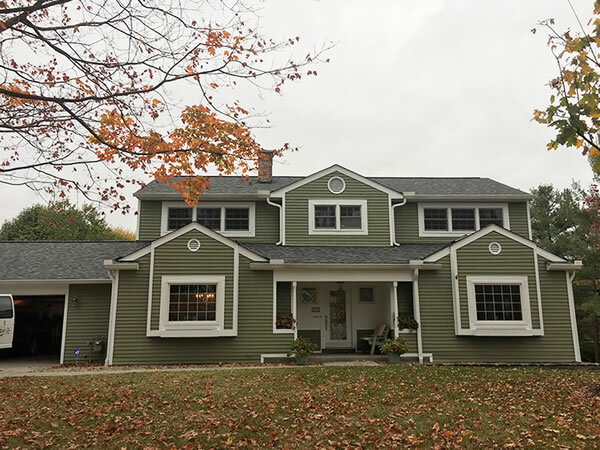 Investing in a professional cedar siding installation will increase your curb appeal, provide a gorgeous aesthetic, and keep your home low-maintenance. 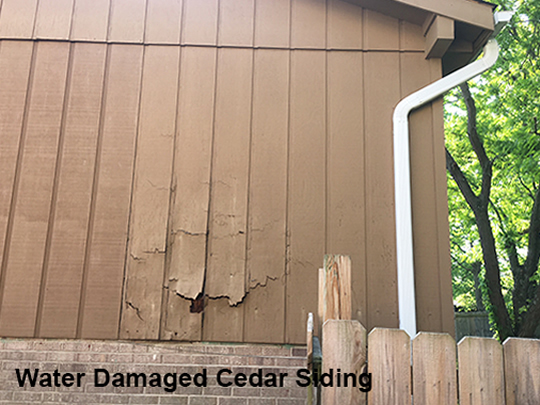 If your cedar siding appears like any of these images below then it may be a sign of repair or replacement due to age, water damage, rotting, sun damage, or warping. 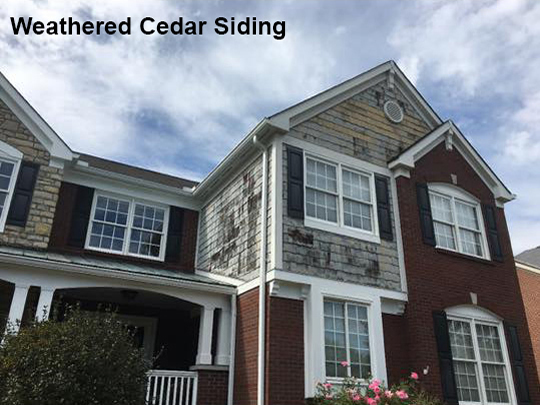 EMA Construction provides cedar siding repair, replacement, and professional installation throughout Cincinnati and surrounding areas. Prior to installation, allow the cedar to acclimatize to the local climate you are in. Prime all surfaces of the wood before installing. This helps protect the cedar from moisture penetration. Use ring shanked nails capable of being driven close to the edges of the boards without splitting them. Independently fasten each piece of cedar siding. 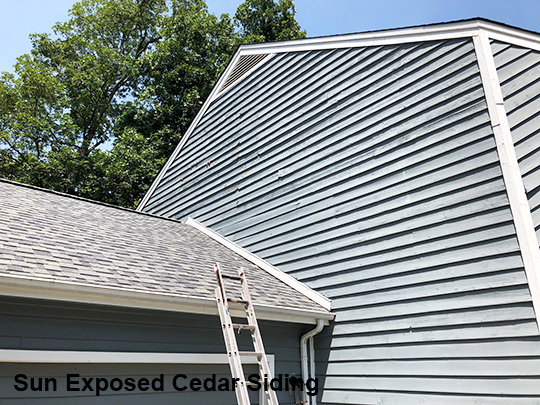 Extend the life of your cedar siding by installing the rough surface out so that siding coating can apply better. EMA Construction specializes in high-quality cedar siding installation for homeowners in Cincinnati and surrounding areas. 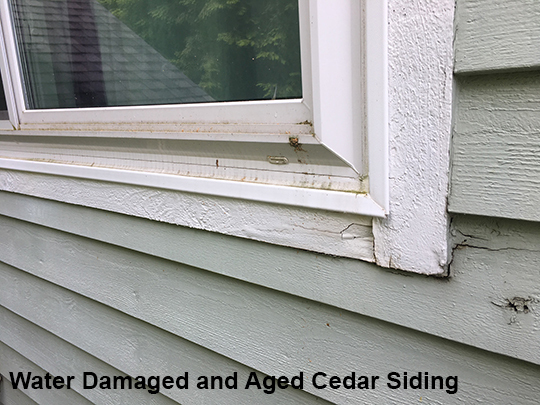 Typically completing 20 to 30 repair and installation cedar siding projects a year has made us a reliable expert in the area. 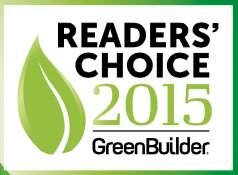 We offer free estimates on all of our siding installation and home improvement services. 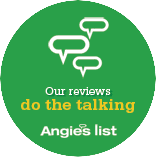 Call us at (513) 279-8362 or contact us online to find out more and get started on your siding replacement project today! Or, email us using the form below to request a free estimate for roofing, gutters, siding, or other services. In most cases we will follow up within one business day. Preferred Time (if any) Please select9 a.m. to noonNoon to 3 p.m.3 to 6 p.m. Please be aware that we will contact you to confirm a date and time for your estimate. Although we will do our best to accommodate your preferences, filling out this form does not automatically guarantee a specific time slot on our schedule.